﻿ How to build account based prospect lists based on geographical region? If you are selling to B2B businesses in a specific location, you can use Google Maps for building targeted lists. Yes, you heard it right! Google Maps helps you to identify your targeted prospect companies for a given location. Google Maps lists the companies located in that location. Step 1: Enter the type of companies you want to target and the location in Google Maps. For example, say you want to target Software companies located in San Jose, California. 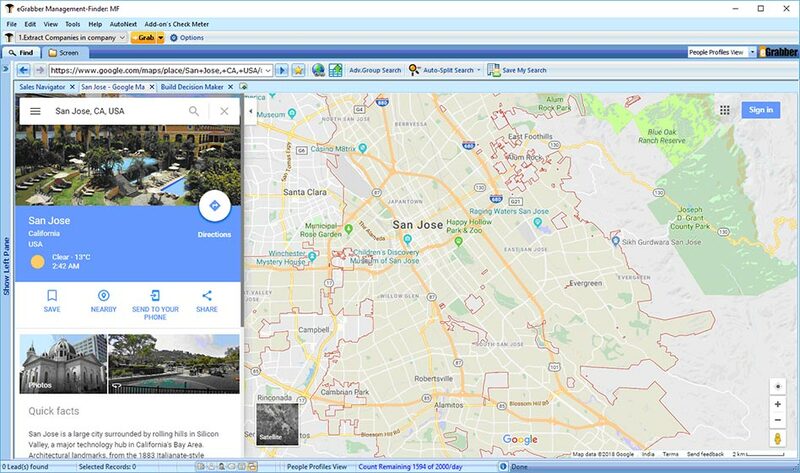 Search for San Jose location in Google Maps and in the search box, enter “Software companies”. 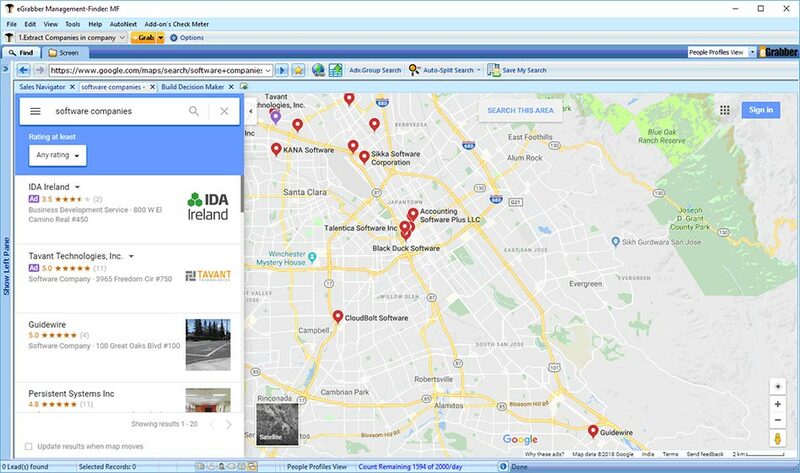 A list of Software companies located in San Jose area is displayed on the left side and on the map. Now click on ‘Grab’ button to copy this list. Step 2: To find the decision makers of the companies, select "*Append Matching Prospects in Companies" from the LI Management Finder drop-down and click on the relevant decision maker title. Example: ‘CEO’. LeadGrabber MF finds decision maker names by performing deep search in various places. Step 3: To find business email ID of Decision Makers, select the records in the grid and click Append Email option. 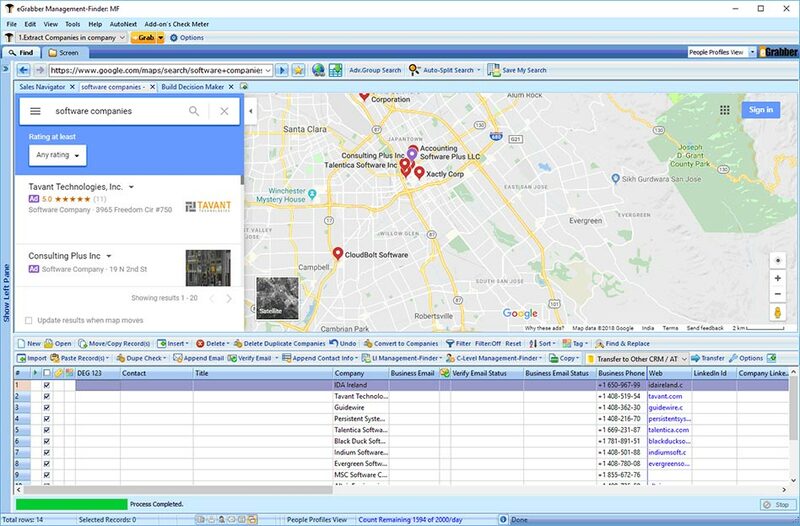 LeadGrabber MF instantly finds and displays the decision makers’ business contact information such as verified business email address and phone number. Step 4: Your account-based prospect list based on geography is ready. Click on "Transfer" button to export the contacts into Excel/CSV or any CRM /ATS of your choice. Example: SFDC, PCRecruiter.